Designs 4 The Web is a Connecticut based mobile website designer providing your site visitors with the optimal layout and design independent of their mobile device. Is your website mobile optimized for your visitors? 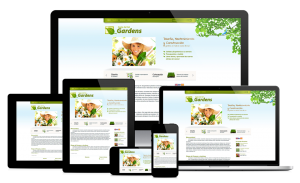 Designs 4 The Web is a CT mobile website designer skilled in building functional mobile website designs that are optimized for resolution cutoffs, not devices, to ensure that you website looks great on any device, even those that don’t exist…yet. Over the years, there have been countless changes and trends involving website design. Some of those trends stuck around, like chunky page footers while others like pop-up windows have thankfully faded away. The most recent design trend is the movement toward mobile website design and the beginning of the end for one size fits all designs. The new trend is clean, easy to navigate designs that are optimized for the onslaught of different devices that are on the market today. Devices ranging from the smallest retina phones to the largest powerhouse tablets. So how does a web designer meet the needs of all of these different devices? The answer is mobile website design, technically coined responsive web design or RWD. Mobile website design is based on the use of a fluid grid system and media-queries which target different devices through the use of their screen dimensions. Essentially…your website detects the size of the device’s resolution before it displays anything and then adapts (e.g. optimized navigation, smaller images, one column layout) to best meet the needs of that device. Why is a mobile website design necessary? It’s no secret, people are using their phones to more and more every day. In fact, more and more of your potential customers are forming their first impressions through a mobile device. The result…60% of consumers say they will not recommend a website that has a bad mobile experience and 40% say they will leave a website that has a bad mobile experience and look for another option. So, what do you think? Is it important for you to invest in a mobile website design? You work hard to build your brand and capture new business through your website. Unfortunately, the last time you updated your site, mobile functionality was a thing of the future. That future is now. How do I hire a CT Mobile Website Designer? There are many options out there when looking for a CT mobile website designer and making the right choice could save you time and money. When looking for a Connecticut mobile website designer be sure to ask about the specifics of their mobile website development plan. Do they use a content management system, like WordPress? Will they be using a fluid grid system or just tables and media queries? Will they be optimizing your images and video as well or just the content? Do they design for devices or breakpoints? It’s not entirely important that you understand all the jargon about responsive web design but you should have a little bit of a background before talking to a designer. Confused? Don’t worry, even seasoned web designers took some time to figure it all out. For a more visual overview of the topic, check out the video created by TreeHouse or contact us today at 203.516.0359 with any questions specific to your project.